Wooter is not your typical sports tech startup... When Alex Aleksandrovski helped launch Wooter in June 2014 in Staten Island, New York, he wasn't sure how long it would take for the upstart athletic brand to grow their name beyond the borough. At the time, Wooter had just started producing customized jerseys through their website for area recreational and youth leagues, all while painting a bigger picture to partner with professional leagues, charity hoops events, and potential sponsorship opportunities around sports. In a matter of just three years, the name Wooter began to make some noise. They went all-in on creating and developing quality customized uniforms in order to present a pro look and feel for players, regardless where they played. From the gear, to rolling out their Wooter App and interactive digital platform, to sharing their story through social media and growing an online community, it's easy to see why the brand is trending up. They've been aggressive in the worldwide marketplace, paving the way to shed the stigma as a "small startup" to knowing exactly the direction they are heading as a company. Take a few minutes to scroll through the Instagram feed at Wooter and you'll see they are leaving a mark in sports tech and game apparel. Hip-hop icon Master P graces the timeline time and again after partnering with Wooter on outfitting players for recent basketball charity events held in New Orleans and Las Vegas. Youth and college basketball, baseball, football, soccer and lacrosse squads proudly sport Wooter gear from California to Florida and last season, the Carolina Cougars of the American Basketball Association made Wooter their official jersey partner. In September, Wooter started a basketball league in Zanzibar, Tanzania (Africa) and designed and manufactured uniforms for the 12-team league, which also includes a digital platform for officials, statistics and league website all managed through the Wooter App. "You can choose to stand by and wait for things to change or you can help drive that change," said Zanzibar Basketball League Commissioner, Hamid Suleiman Ahmad, who has helped bring community members together with the launch of the basketball league. For both Wooter and Hamid, the hoops journey really has come full circle. Back in May, the 24-year old from Tanzania contacted Wooter via Instagram about his love for basketball and the chance to share his humble and heartfelt tale about growing up 7,500 miles away in Africa. Over a series of emails, Hamid explained his passion for bringing his own vision to life by drawing a jersey for his team of friends. Hamid created and designed everything -- from the blue and white uniform for his team, to the African logo that graced the front of the jersey. Wooter handled production and delivery within a two-week period, and within those fourteen days a dream became a reality that reached from Staten Island to East Africa. "Just from these two emails alone, the effort we put into making these uniforms for Hamid and his friends was well worth it. It is eye-opening to see how some people view the world," said Aleksandrovski, Founder and CEO of Wooter Apparel. Five months later, Wooter and Hamid collaborated again with the start of Wooter Africa and the tip-off of the Zanzibar Basketball League. This isn't the first time Wooter has put a sports project together and helped it grow. Percy Miller, better known as rap and business mogul Master P, turned his attention to Wooter in early 2017 while planning and organizing a basketball charity event to raise awareness on inner city violence in New Orleans, Louisiana. 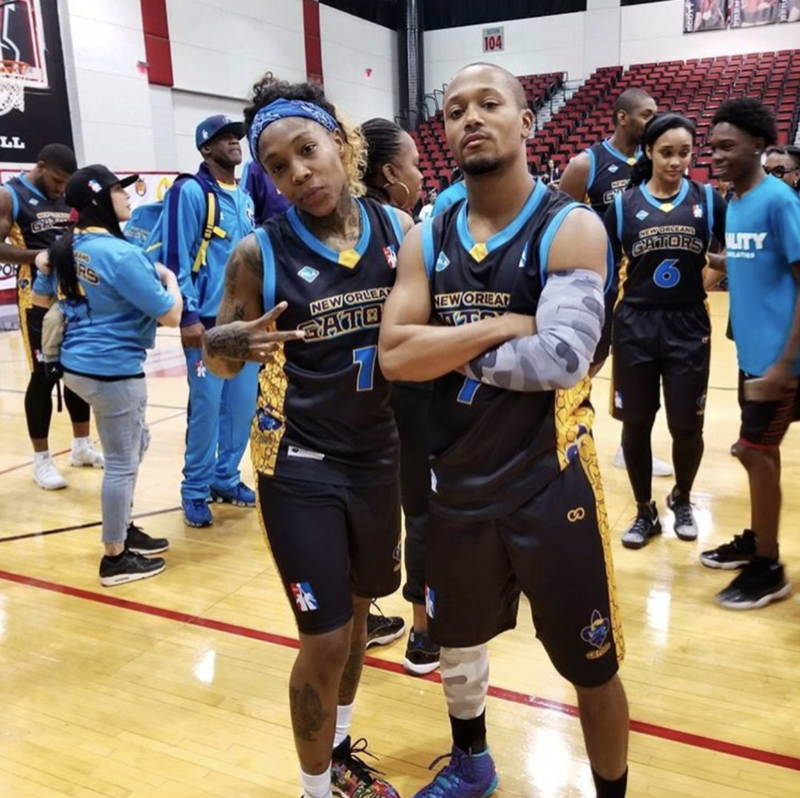 Master P's NOLA Celebrity Basketball Game at the 2017 Essence Festival took place in June at the Xavier University of Louisiana Convocation Center, with Wooter outfitting the players and staff with gear. That event led to yet another chance to team up with Master P.
Always looking for ways to give back to urban communities and through the game of basketball, Master P started the Global Mixed Gender Basketball League (a co-ed league with teams in New Orleans, Atlanta, Chicago and Washington D.C.) and looked to Wooter to be the apparel sponsor of the league, featuring the likes of former NBA standouts Carlos Boozer, Caron Butler, Metta World Peace and WNBA players Cappie Pondexter, Brittney Griner and Hall of Famer Lisa Leslie. The exhibition and debut of the GMGB took place on September 23 at the Cox Pavilion in Las Vegas as is the start of another venture where Wooter can shine on a bigger stage, as they are taking an active part in designing the GMGB brand, logos, and outfitting the whole league. 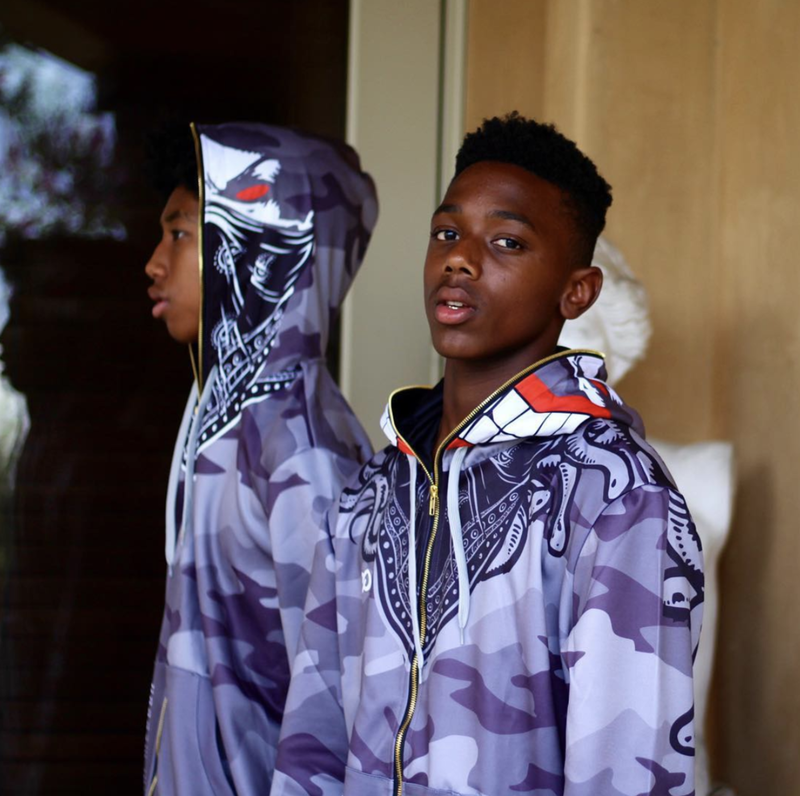 Between making news as the official jersey label of Master P's Global Mixed Gender Basketball League and the start of their Zanzibar Basketball League in Africa, Wooter also announced the creation of a brand extension with their new streetwear line, "Medusa", showing once again that they are a passionate company unafraid to stay ahead of the game. The "futuristic and luxurious urban brand" is not only is a way for Wooter stay forward-thinking by adding on to the company, but also gives the brand the chance to stay true to their New York roots. After a successful three-year run, Wooter's proven track record shows it has officially moved from a simple startup to now being considered a consistent trendsetter.